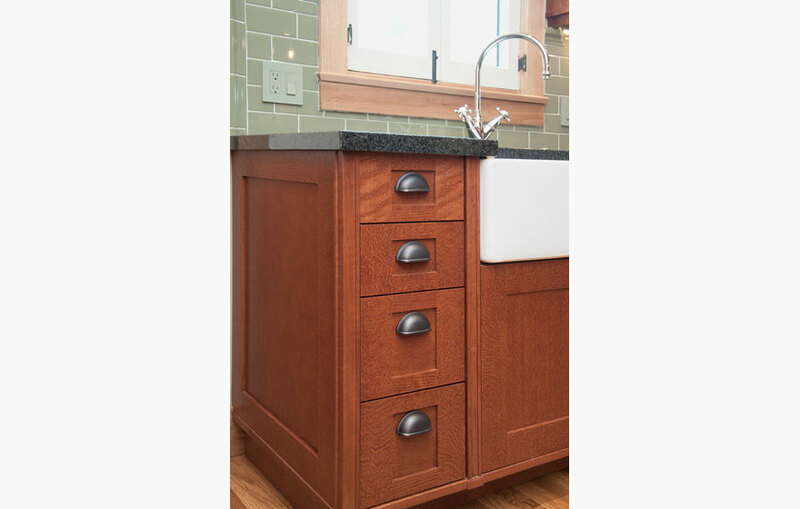 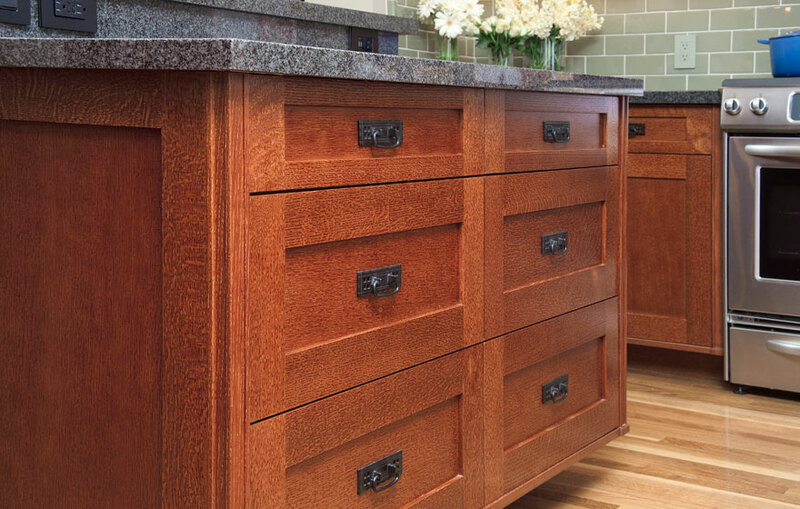 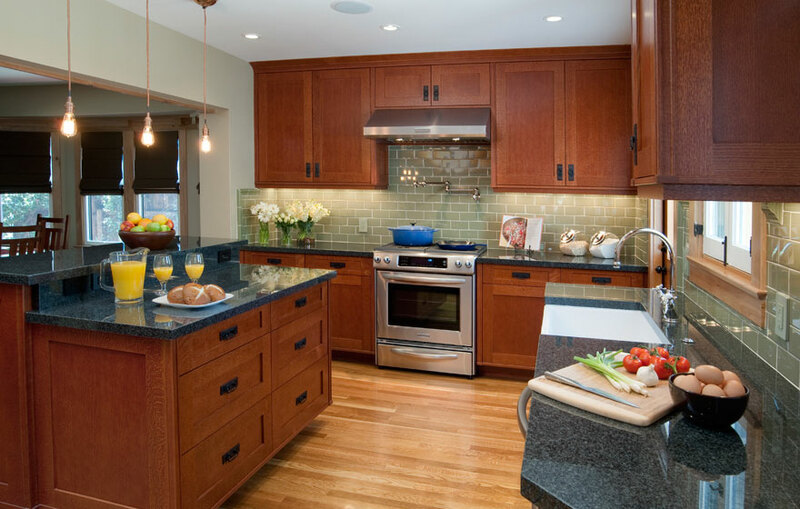 Craftsman style kitchen with Shaker 3/4" (831) Doors with a modified 3" frame in Quarter Sawn Red Oak using Streamline® RTA Cabinet Components. 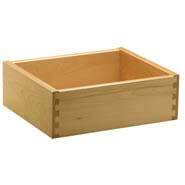 Drawer Boxes: Dovetail Drawer Box (618) in Maple with Grass Undermount Drawer Glide Clips installed. 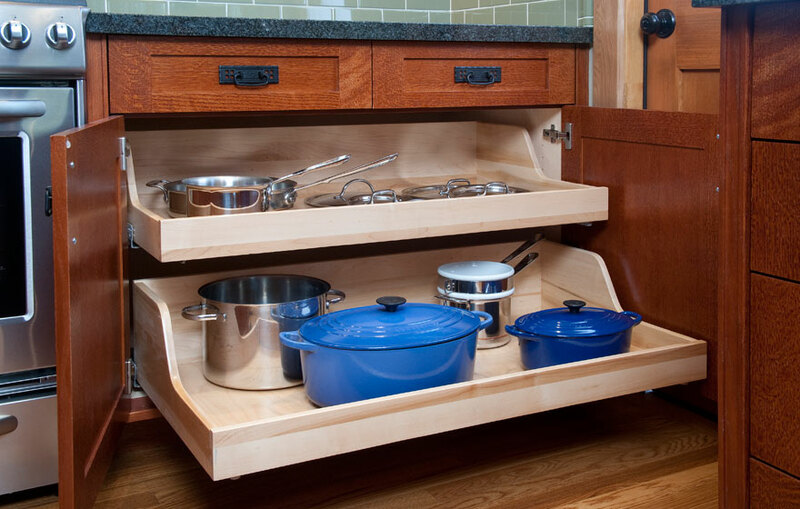 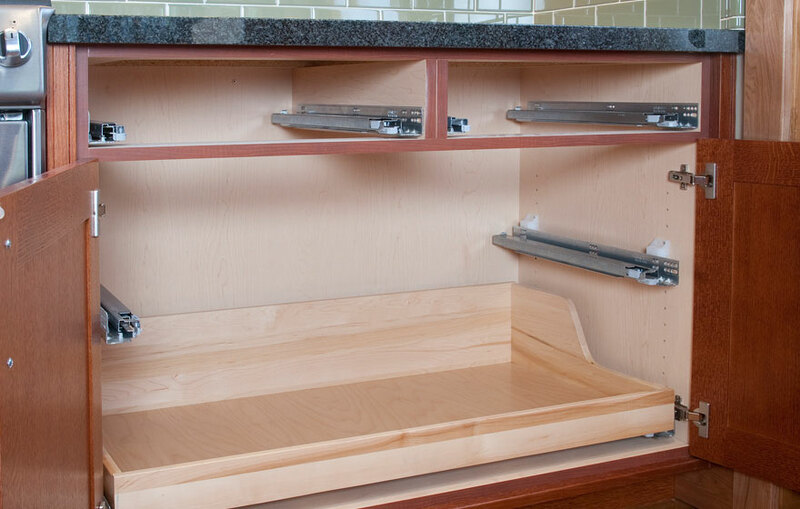 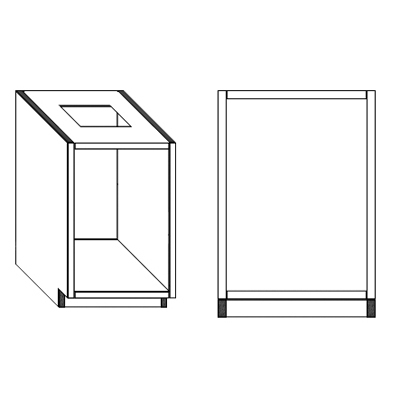 Pull out drawers have Scalloped Angled (C) sides and use Roll-Out Spacers (7605) so drawers and glides clear cabinet frame when pulled out. 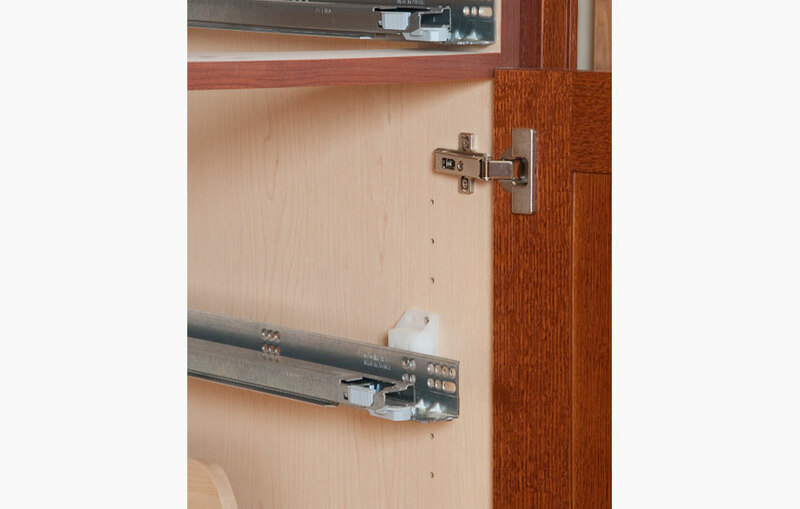 Drawer Guide Screws 5/8" #6 (7305) and Clear Bumper Pads (7604) were used.